Unity gears up for the next generation of AI. 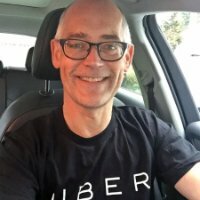 Unity has hired Uber's former head of machine learning, Dr. Danny Lange, to take on the problems of augmented reality and virtual reality gaming AI. Unity's explosive growth is allowing it to focus on making its engine more friendly and capable when it comes to AR/VR gameplay and Dr. Lange will help develop machine learning and AI algorithms needed for computer-controlled enemies and allies in a truly three-dimensional setting. Unity is now powering 34% of top mobile games and an enormous amount of console and handheld titles as well. Unity hopes that by expanding its engine to make VR/AR development easier and more efficient that it can nail down an early lead as the game engine of choice for VR/AR developers. Dr. Lange's history developing machine learning solutions for Microsoft, Amazon and Uber make him a perfect fit for Unity's needs according to Unity Technologies CEO John Riccitiello. As gaming grows into the new frontiers of VR and AR, we can expect to see a larger and larger amount of personnel from all across the tech industry migrating to these new forms of entertainment.